Note: Rachel posted this on 4/21/2014 in response to The Unthinkable. I added one of my favorite all-time photos to top of her great comments. Thank you Rachel. We are all too aware that any number of things can go awry. Initially, you have to get them raised. They could have minor problems–developing immune systems makes them prone to potential parasites, as well as bacterial infections. The puppy-biting is the bane of most Weimlovers facing the puppy scenario. Nevertheless, the journey, and the joy of the relationship made it worth the efforts. Thank you Rachel for the endorsement. It means the world to us. Kimber was named for a favored gun. Hi!! When Kimber was a pup we always got the questions or comments like “is she super hyper, I just love these dogs but their soooo hyper”. We always responded no 🙂 Kimber was & still is the most calm weim inside the house. We literally have to pry her off the couch sometimes! I didn’t realize how lucky we were to get her from such an amazing breeder that truly cares about their pups and their future homes. 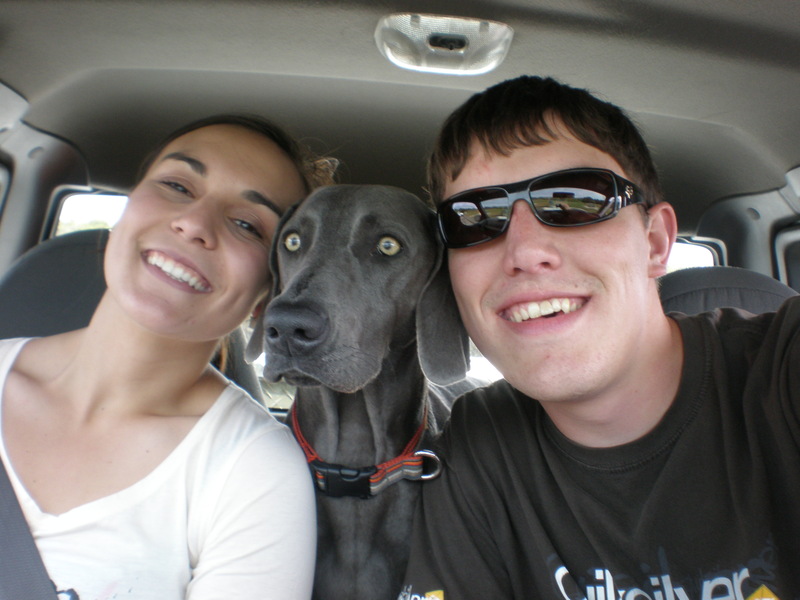 Posted on November 23, 2014, in Previous Pup Update, True X Dusty and tagged Blue Female, Blue Female Weim, Blue Weim in Oregon, Blue Weimaraner, Kimber' Rachel. Bookmark the permalink. 1 Comment.